The Summer 2018 No Boundaries II Training Program is a follow up program to the original No Boundaries 5K training program. This program is designed for graduates of our No Boundaries program OR those who can already run three miles without stopping (or with walk breaks of one minute or less). You do not have to be a No Boundaries graduate to join No Boundaries II. This is a great program for those who are looking for further direction in their training and/or want to improve their 5K time. For those who want to run a 10K or (or even a Half-Marathon someday! ), this program is a great bridge to the next level. Participants will train for a 5K race, but this time, learning to run proper pace and with proper form all while working to cross the finish line faster and increasing their knowledge (and love!) of running. Group workouts on Mondays @ 6:00 P.M. & Thursdays @ 6:00 P.M. Coupon "punchcard" with BIG savings to help you "gear up"! Thursday, 6/28/18 @ 6:00 PM - First Thursday Workout! Description: The Summer 2018 No Boundaries II 5k Training Program is an 11 week program designed for runners, run/walkers, and walkers who have EITHER recently participated in a No Boundaries program and/or who have recently completed a 5k event. 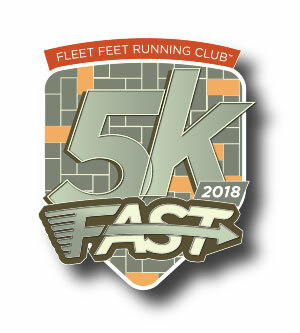 It's a great program for those who are looking for continued direction in their training and/or to improve their 5k time. It's also the perfect program to bridge the gap between the No Boundaries program and a 10k training program!